Substantially revised and rewritten in the light of the 1997 General Election and Devolution referendum, the 2nd edition of this widely-used text provides an up-to-date assessment of Scottish politics under Blair and the likely impact of the new Scottish Parliament. 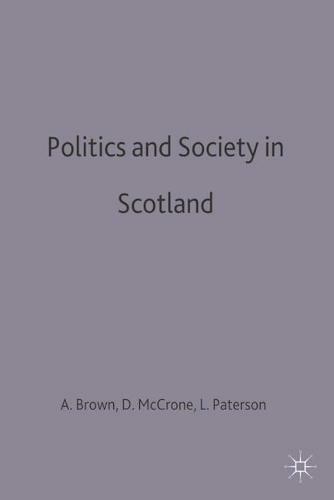 The book focuses in particular on Scotland's constitutional position within the UK; its system of policy making; the nature of the Scottish economy; and the changing patterns of party electoral and grass roots politics. An important feature is its focus throughout on the relationship between culture, identity and ethnicity and that between politics and civil society as it has developed since the Act of Union in 1707.